Located just across the street from Iowa State University, The Foundry offers sophisticated student living right at the heart of campus. 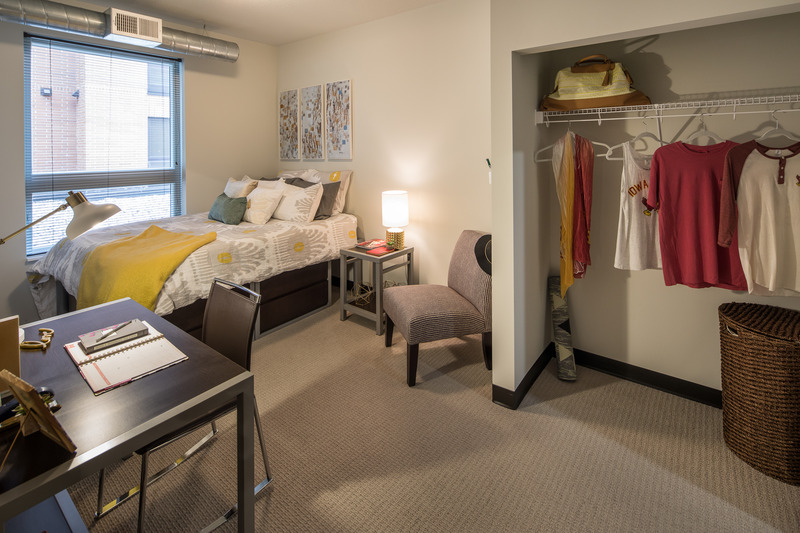 Students come home to boutique, fully furnished apartments with modern kitchens and private bathrooms. Whether you're hitting the books in our study lounge or hanging out in the game room, you'll be surrounded by everything you need for a great college experience. With a community atmosphere and exceptional customer service, The Foundry ushers in a new era of luxury student living. With The Foundry located right in Campustown, residents live at the center of all campus life. Enjoy great shopping, nightlife, and natureâand still be only a few steps away from the classroom. Build your strength at our 24-hour fitness center, equipped with state-of-the-art weight and cardio machines as well as a spin and yoga studio. 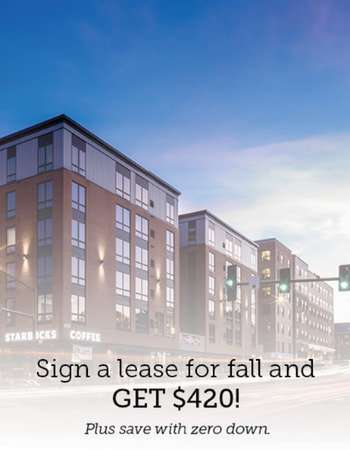 Residents are surrounded by the best of Ames shopping and dining, including a Starbucks Cafe, Potbelly Sandwich Shop, and Barefoot Campus Outfitters. With iMac computers, free printing and private conference rooms, our study lounge is the perfect place to study with friends and get work done.